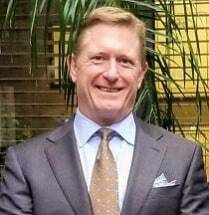 In 1993, Chris Glisson joined the firm that would become MGM Attorneys, of which he is now managing partner. Chris began his legal career at a small plaintiffs firm in New Orleans in 1990. Born and raised in Baton Rouge, he returned to the Capital City to focus his practice on personal injury litigation. He has handled cases across Louisiana and obtained multi-million dollar judgments and settlements for his clients. Chris has developed a specialty in handling roadway defect cases against the state of Louisiana. He serves on several volunteer boards and committees in Baton Rouge. Chris has been married to Ashley since 1989. They have two children, Connor and Lexie.